Yet again, expect mostly cloudy skies with showers and afternoon thunderstorm chances in the South Florida forecast Thursday. Sunshine will be limited for much of day, keeping temperatures just a touch below average. Expect highs around 87. 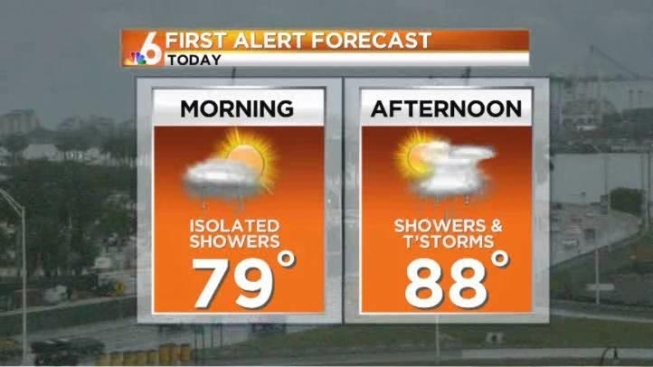 There'll be partly cloudy conditions with an isolated storm and highs around 89 Friday.